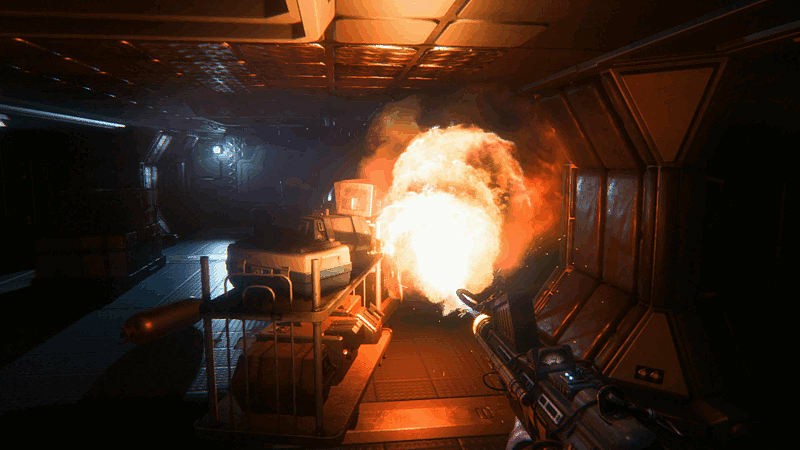 Alien: Isolation is a first-person survival horror game with a hefty dose of stealth. Developed by The Creative Assembly, gamers will be happy to know that Alien: Isolation is a far cry from the disappointing, Aliens: Colonial Marines, which was crafted by Gearbox Software. What Alien: Isolation will remind players of, however, is the 1979 film starring Sigourney Weaver. 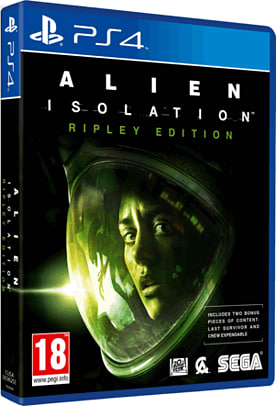 Set 15 years after the events of Alien and 42 years prior to Aliens, the game follows Amanda, the daughter of Ellen Ripley, who gets transferred to the space station Sevastopol in order to retrieve the flight recorder from the Nostromo, her mother's missing ship. As the title of the game suggests, the situation is complicated by the presence of a terrifying and deadly Alien. There have been a lot of games on next generation consoles that do not display in 1080p, but Alien: Isolation is a wonderful exception. Players on the PlayStation 4, Xbox One and PC can certainly expect this game to hold its own when it comes to resolution, but that's not where it shines. 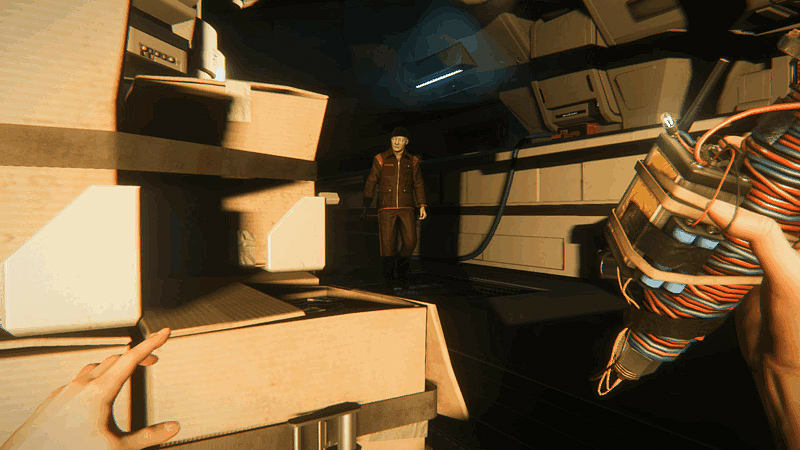 The true beauty of Alien: Isolation is felt while exploring the expertly crafted world of Sevastopol and the Torrens. In fact, it's done so well that some of the environment is identical to the original film we mentioned earlier. 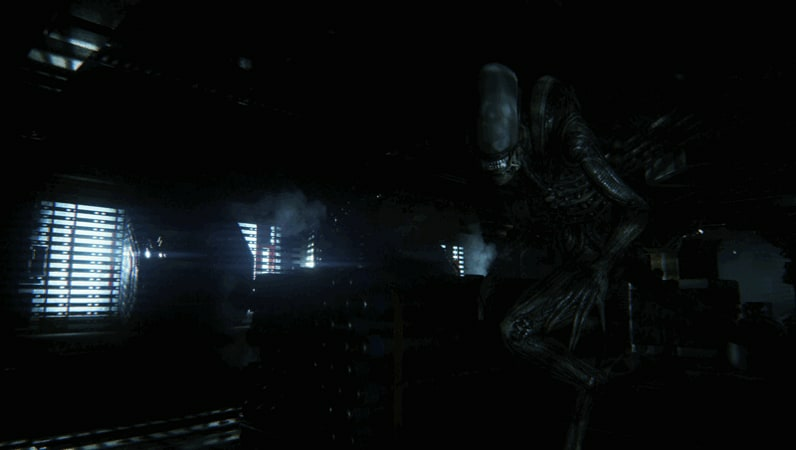 For example, the process by which players manually save their game is a mirror image of a scene from the first few minutes of the Alien film. The wonderful and terrifying atmosphere doesn't stop there, as one of the game's main strengths is how it makes players feel that the Alien is never more than a few feet away. The nearly deserted space station is full of shadows and sounds that build the tension using anticipation, rather than scripted scenes going strictly for shock value. In that way, The Creative Assembly achieved something quite impressive, and that is to make Sevastopol itself scary, rather than just craft a standard horror game. 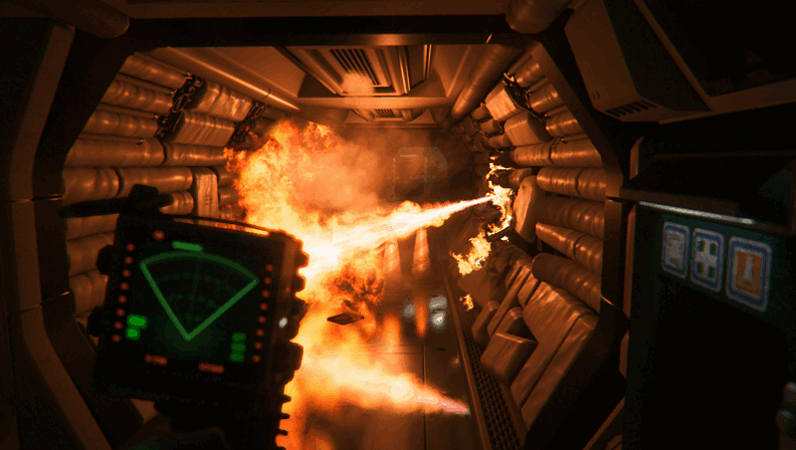 A lot of the pre-game hype for Alien: Isolation was centered around the artificial intelligence of the creature itself, boasting about how it will adapt to the players actions, hunting him or her by sight, sound and smell. In some situations this claim seems to be true, as two passes through the same mission had us making noise and encountering the Alien in one, then maintaining stealth and avoiding it altogether in a second attempt. The feeling that actions have consequences will help immerse players in the game. At some points, however, the Alien shifts from a creature that is always nearby and reacting to the player to a typical AI adversary who patrols a specific location while Amanda must try to complete her objective. Normally there wouldn't be anything wrong with that, except in the case of Alien: Isolation, players cannot kill or outrun the Alien. The result is a lot of sneaking around and hiding in lockers or cabinets. Again, that wouldn't be so horrible if it was once in awhile, but after two consecutive missions it felt as if the game had turned into a locker simulator. There certainly are some frustrating encounters with the Alien, but overall it's done well. Hearing it scurry through the ventilation shafts will give players a good scare, and the first time it makes an appearance there is no doubt it's a beast that shouldn't be messed with. The creature isn't perfect, but a solid effort on the part of The Creative Assembly. We know the atmosphere is incredible and the Alien delivers, but what about the play mechanics? Well, that's another area with its ups and downs, but just like before, it's mostly ups. For the most part, the controls seem smooth and not at all difficult to master. 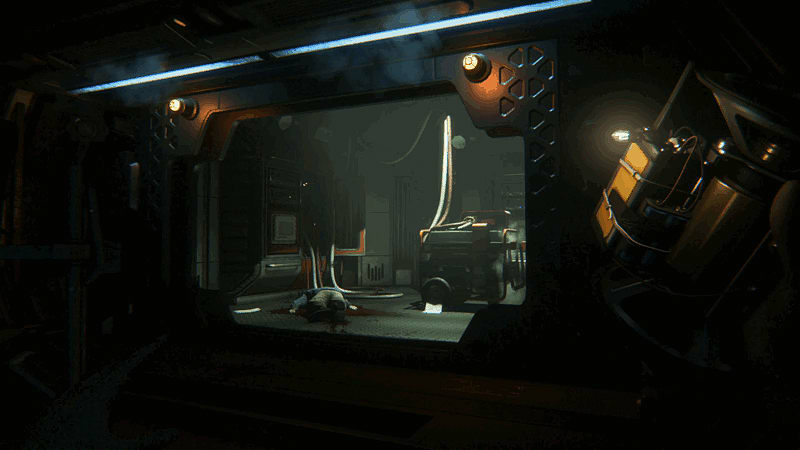 Actions such as opening doors and climbing into ventilation shafts take just enough player involvement to feel immersive, but not enough to become tedious. Objectives and tasks constantly change, giving each mission its own distinct pace and theme. The game isn't perfect, though, and returning to the topic of lockers, Amanda will often hold her breath when the Alien is nearby, however it seems that even when players do everything right they can still die. While this may or may not have been the way the developers intended it, the deaths pile up quickly, something that may negatively impact the experience. For example, the Alien managed to kill us seven or eight times in one mission, making what should be a terrifying interaction far less intense. As a final note on game play, the team at The Creative Assembly deserves credit for its work with the Synthetics, an artificially intelligent group of robot like creatures that inhabit Sevastopol. They are just the right amount of creepy, mixed with a dose of completely unpredictable. For kicks, we decided to pick a fight with one, but quickly regretted this when it caught our strikes, threw us against a wall and began to choke the life from us. In fact, that was our first death in the game. Overall, Alien: Isolation hits the mark. The Creative Assembly completed its primary objective of crafting a terrifying experience that stays true to the original film, and all of the supporting features hold together quite well. There are a few continuity questions about the Alien's artificial intelligence, but fans of the survival horror genre and original movie should add this to their collections.